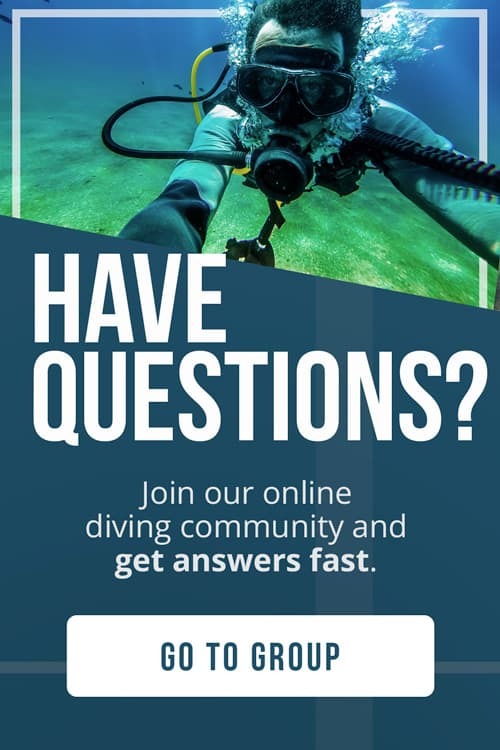 Wondering where to go on your July scuba diving trip? With hurricanes in the Caribbean and sweltering temperatures across the Red Sea, you might be wondering where you can find some decent diving. To help you in your quest, we’ve compiled a list of the best liveaboard destinations to go in July. If you’re planning a dive trip in July, you’ll do best in the Pacific Ocean and Southeast Asia. 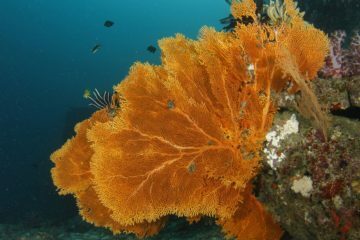 It’s the dry season in Komodo and Sipadan, with good conditions and no shortage of marine life. Temperatures are cooler down in the South Pacific, bringing good visibility and calm waters. Any of the destinations on this list are sure to be amazing! Malpelo Island beckons divers to explore stark underwater landscapes where schooling fish and sharks lurk amongst its tunnels and caves. Advanced divers can drift dive in the powerful currents of this volcanic ridge. A Malpelo liveaboard is the best way to ensure a coveted spot at this protected marine reserve. This is the wet season in Malpelo, although not as intense as it will be later in the year. You will see some rainfall, and waters will hover between 68 and 75° F (20 and 24° C). Visibility at Malpelo is fairly constant throughout the year. Diving at Hawaii is an explosion of color, with plenty of bright corals and reef fish to discover. Although the coral is under threat from climate change, scientists are thinking of innovative new ways to preserve it. Since the dive sites here are mostly shallow, this is a fantastic place to get your feet wet for the first time or learn a new diving skill. It’s all possible with a Hawaii liveaboard! Summer in Hawaii brings warm waters and calmer surface conditions. 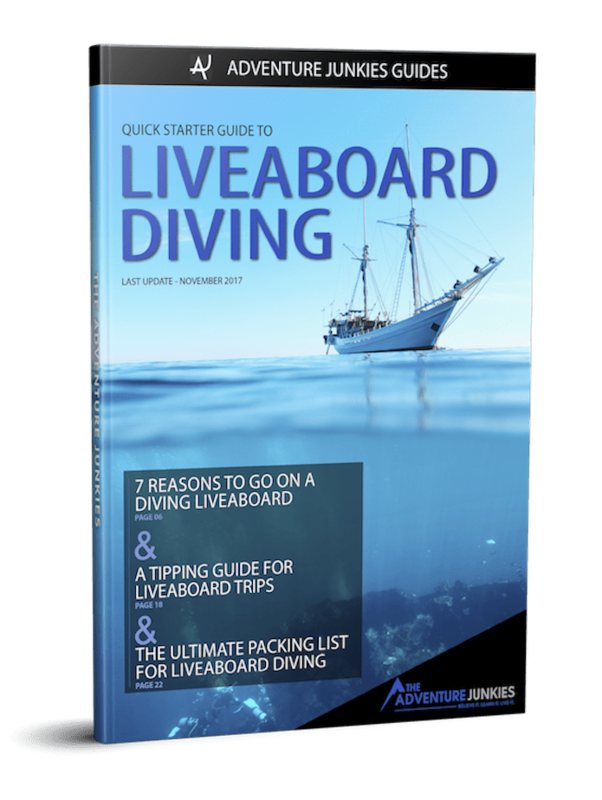 Liveaboards during this month have their pick of any dive site they like, and visibility can reach up to 100ft (30m). This is high season so book accordingly. Thanks to ongoing volcanic activity and converging ocean currents, the Galápagos Islands are one of those magical places that seem to have every type of creature under the sun. A Galápagos liveaboard will take you to one of the richest dive sites in the world. July is the beginning of the cold season at the Galápagos, when waters are starting to get choppy and you’ll see a decrease in visibility. 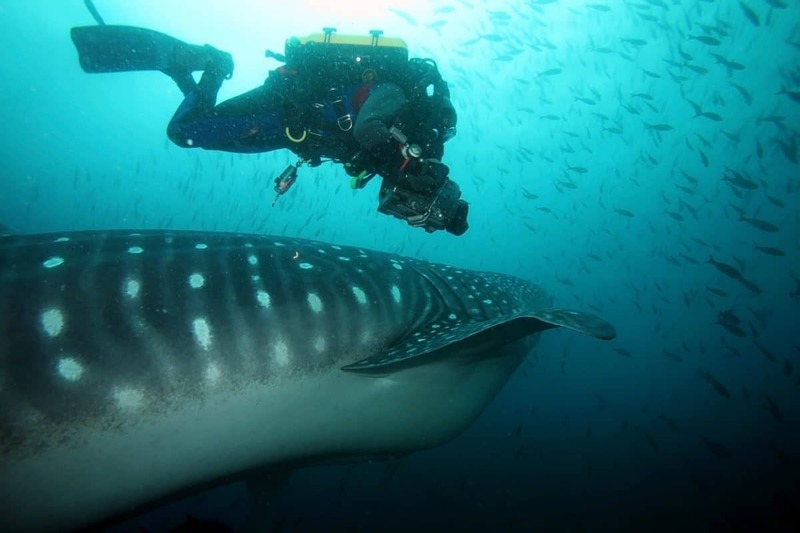 On the bright side, July to December is when the nutrient-rich currents attract majestic whale sharks. And as an added bonus, you might even see penguins! Nestled in the Coral Triangle, Komodo National Park has some of the highest marine biodiversity in the world. The islands’ varied underwater landscapes are home to pelagics, reef fish and macro life. A Komodo liveaboard is by far the most convenient way to explore this underwater paradise. Komodo in July is cold and dry. Thanks in part to the nutrient-rich waters which attract manta rays and all kinds of marine life, this is the time of year when you’ll find the most liveaboards available. Visibility varies according to the dive sites. Be aware that if you are planning to head further south, you might see some choppy surface conditions. Few divers are lucky enough to dive Sipadan, which provides a limited number of entry permits to its marine protected area. Those who manage to get a spot on the only Sipadan liveaboard will have the chance to explore healthy coral reefs, away from the crowds. 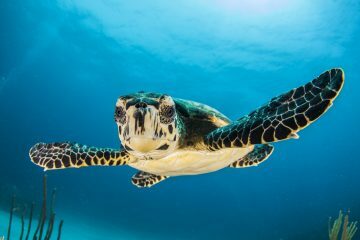 July is a good month to catch a glimpse of nesting green turtles. As always at Sipadan, you should also be able to see barracudas, seahorses, sharks and bumphead parrotfish. 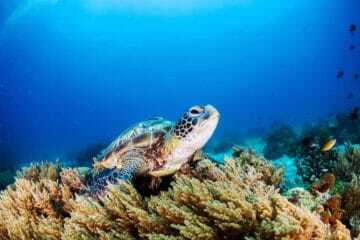 July and August, in the middle of the dry season, are generally regarded as the best months to dive Sipadan. The Marshall Islands boast plentiful fish life, plummeting drop-offs and well-preserved reefs. But most divers come to explore the eerie Bikini Atoll, with its wrecks left over from American nuclear testing in the 1940’s. With a Marshall Islands liveaboard you’ll be one of few divers to visit the area. The Marshall Islands lie near the equator and water temperatures vary little throughout the year. July is one of the hotter months, and enjoys calm waters. Don’t miss the chance to see the world’s largest shark sanctuary, something that will hopefully serve as inspiration for marine conservationists around the world. The Solomon Islands are an archipelago comprising 1000 islands located in the South Pacific. During the Battle of Guadalcanal in World War II this area saw a lot of fighting. This is good news for wreck divers, who will have access to hundreds of wrecks with a Solomon Islands liveaboard. With dry weather and marginally cooler temperatures, July is one of the best months to visit the Solomon Islands. Monsoon season is over and conditions are calmer, a good time to go muck diving and see nudis, seahorses and other macro life. Check out our underwater photography tips before you go so you can immortalize what you see here! With a Papua New Guinea liveaboard, you’ll have the opportunity to explore fascinating seascapes with intricate macro critters in the birthplace of muck diving. Not to be missed are the steep drop-offs and underwater mountains with no shortage of pelagic life. If you come to Papua New Guinea in July, you won’t want to miss the Rabaul Mask Festival. Look into liveaboard operators that include visits to the islands to take advantage of this truly unique experience. July is the cold season in Papua New Guinea and a good time to dive the Bismarck and the Solomon Seas. French Polynesia is the perfect place to go drift diving with pelagics. The country’s vast seascape also offers beautiful corals, steep walls and World War II wrecks. If you’re going to book a French Polynesia liveaboard, it’s worth getting your advanced open water certification so you won’t be held back by the depths and the currents. Visibility is at its peak in July, stretching up to as much as 200ft (60m). Surface conditions can be rough and waters will be slightly cooler, but neither of these should be a big deal once you get underwater. However, this is typhoon season in French Polynesia, so consider taking out insurance for your trip. Every scuba diver should have the Great Barrier Reef on their bucket list. The world’s biggest reef system, this UNESCO site is home to 1500 species of fish and 400 types of coral. But an Australia liveaboard can also take you to dive spots elsewhere in the country, such as drift diving off the west coast or cage diving with great whites in the south. Waters in Australia are on the cooler side this month. This is the ideal time to see migrating minke and humpback whales as well as other pelagics including whale sharks and manta rays. Visibility should be decent in July.